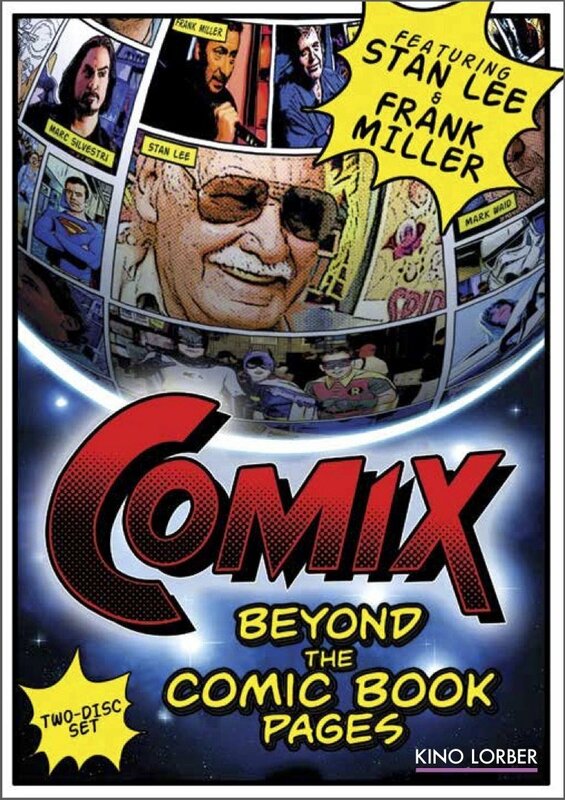 'Comix: Beyond the Comic Book Pages', is an engaging feature-length documentary which showcases comic books and the media-centric phenomenon that has surrounded them. Told through the thoughts and images of the creators, the writers, the artists, the publishers, the comic book store owners, and of course, the fans themselves, this 85 minute film is a must-see for anyone who loves the world of Batman, Superman, Spider-man, as well as other heroes of their ilk. Director Michael Valentine has managed to put together a collection of the most engaging one-on-one interviews with some of the most iconic creators of the industry. This includes interviews with people such as Frank Miller (The Dark Knight Returns), Neal Adams (Green Lantern / Green Arrow), Mark Waid (Kingdom Come), Stan Lee (Do I Have To Write Anything Here? ), Mike Richardson (Founder of Dark Horse Productions), and Marc Silvestri (Artist and Founder of Top Cow Productions). As I'm on the subject of Top Cow, Comix has also managed to delve into the world of independent comic book publishing, doing so by talking to the owners of the comic book shops, as well as by interacting with the fans who attend comic book conventions (like Comic-Con, Wonder Con, Anime Expo, and Wizard World). For an added bonus, while at the con's you'll be able to see many of the fans in full costumes, talking about how they made them (that’s for you, cosplay fans!). In an interview he gave after completing his film, Michael Valentine said, “My vision for Comix started as an idea about how to make a comic book and then blossomed into a full-length feature documentary about them. Comix is also my way of sharing the artistry that I love through a movie that was made by a fan, for fans. It's been an amazing experience working on this film and just great meeting the people I have met along the way. I think comic book fans as well as anyone else who watches it will find it fun, informative, and inspirational”. 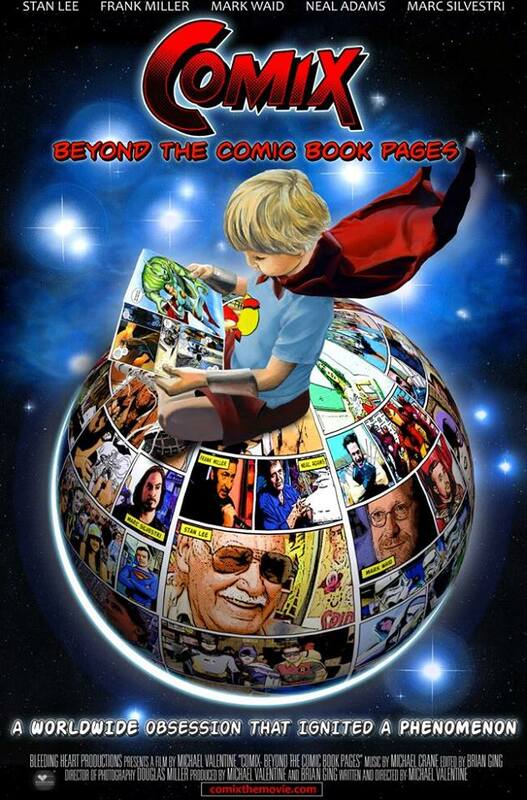 Now if you want to pick up a copy of 'Comix: Beyond The Comic Book Pages', please click on the links provided. Or if you want to know more about this flick, feel free to pay Michael a visit via his official website, facebook, and twitter pages. Also click there for some additional information on the two disk special edition, as it includes the 85 minute film as well as four hours of exclusive bonus footage only available on the DVD, featuring entire hour-long interviews with Stan Lee and Frank Miller, plus an exclusive eight page mini comic book.